Important Information On Christmas Delivery Dates…. Due to the adverse weather conditions as of 1st December 2010 Royal Mail have suspended their guaranteed delivery times on Special Delivery items. We apologise for any inconvenience this may cause but unfortunately it is totally out of our control. We will continue to despatch ALL items within at least 2 working days of receiving your payment to try and ensure you do receive your purchases for Christmas! This entry was posted in Posting and Packaging and tagged Christmas dates, Christmas Gifts, Posting Dates on December 8, 2010 by Perfect Pieces. If you’re wanting to post pottery, ceramics or glass or even simply store some bits away at home in your loft then you’ll probably need tissue paper, bubble wrap, boxes and tape to name just a few bits! 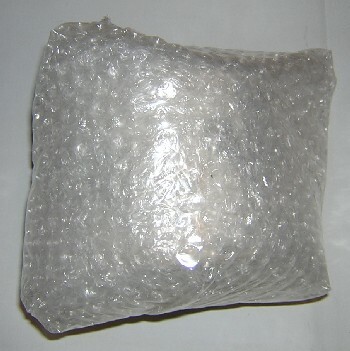 I often wrap pieces in tissue paper first then in bubble wrap. The tissue paper can help protect any delicate decoration or gilding on the item from being worn or pulled off by the bubble wrap (this does of course depend on what the item is). Often, packagaing stores may have an Antiques & Fine Art Department. This groups together all the kind of things you’ll need when packing antiques and collectables – including bubble wrap, a whole range of different sorts of tissue paper, variety of tapes including Fragile of course, corner and edge protectors and of course boxes! If you have any tips on wrapping, posting or storing your antiques and collectables then go ahead leave us a comment so fellow readers can benefit from your experience. 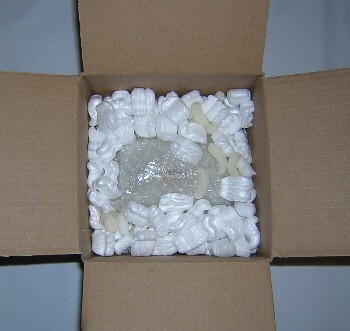 This entry was posted in Posting and Packaging and tagged bubble wrap, packaging, packaging pottery on February 21, 2010 by Perfect Pieces. If you have a parcel you’re wanting to send somewhere in Europe in February 2010 then why not obtain a quotation from Worldwide Parcel Services and use this 10% discount code to get a little bit off? Worldwide Parcel Services offer all kinds of postal services not only to Europe but as the name suggests Worldwide as well! You can easily obtain an instant online quotation for your parcel to your specified destination using their website. This code is valid until the end of February 2010 and should offer you a 10% discount on any parcels sent within the European Union. If you use it and have success or attempt to use it and fail then leave us a message and let us know how you got on. 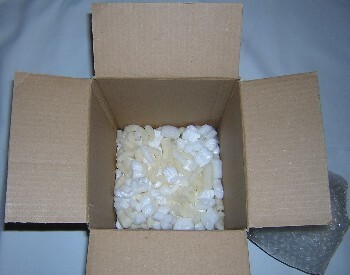 This entry was posted in Posting and Packaging and tagged Discount code, Posting parcels, Worldwide Parcel Services on February 16, 2010 by Perfect Pieces. If you’re still shopping for Christmas then you might be interested in our Christmas posting dates! Royal Mail staff have decided not to strike again before Christmas – thankfully! Coupled with the fact that Christmas Day is a Friday, this means we can post quite late and still provide pre-Christmas delivery. Needless to say, we need to receive cleared payment before we can ship your items and we do need time to pack them, too – so any orders placed after 2pm will probably be too late for shipping the same day, as we will miss Royal Mail’s collection times. This entry was posted in Posting and Packaging and tagged Christmas Gifts, Christmas Posting Dates on December 13, 2009 by Perfect Pieces. Tips On Posting Parcels Worldwide! As you might have guessed we have to send many parcels both nationally and internationally! Whatever the item you hope it arrives safe and sound, and if using a tracked and guaranteed service on time as well for the convenience of not only yourself but for the person waiting in for it at the other end. First of all you have to package your item – for help and tips take a look at our Postage & Packaging Guide here. Once that’s done if your parcel is under 2kg then you have lots of options available from Royal Mail ranging from standard 1st and 2nd class, recorded 1st and 2nd class delivery right through to guaranteed next working day delivery by Special Delivery. It’s when the parcel is over 2kg that it becomes slightly more complicated, and even more so if you want to send it abroad! Within the UK for parcels over 2kg you could try Royal Mail’s Special Delivery which is usually around the £20 mark. This gives you guaranteed next working day delivery but you do have to remember there are size restrictions on the size the parcel can be so it’s always wise to check this out before you head down the post office with your parcel. You can find out more information on Special Delivery from Royal Mail’s website – here. Alternatively you could try one of Parcel Force’s services – we sometimes use Parcel Force 48. This service is guaranteed delivery within 48 hours and you can even have Parcel Force collect the parcel from you if you book it online so you don’t have to take your chunky parcel to the Post Office! See Parcel Force’s website for further details about their service – click here. Now, if you’re looking at sending a parcel overseas that weighs more than 2kg then you’ll probably find that Royal Mail aren’t much use. A good site to check out is Worldwide Parcel Services. They allow you to obtain an instant online quote based on your parcel’s weight and dimensions so you can see straight away the options available to you. Click here to visit their website. 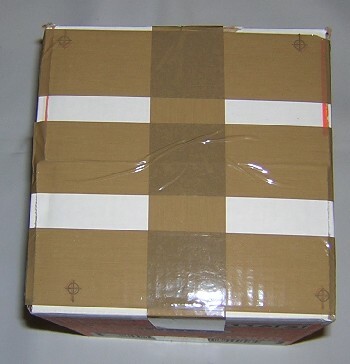 If you have any tips on sending parcels, then be sure to get in touch it’s always good to hear about other people’s experiences in sending parcels. This entry was posted in Posting and Packaging and tagged packaging, Posting parcels, posting pottery on June 28, 2009 by Perfect Pieces. Recycling is a hot topic nowadays – but how many times have you shaken your head in amazement at the amount of unecessary packaging wrapped around even the most mundane of purchases? I don’t think anyone would deny that our goods need to be generously packaged, but to reduce both our costs and our impact on the environment, we use recycled or secondhand packaging for almost everything. Let me explain. We package pieces by wrapping them in bubble wrap and then placing the item in a box surrounded with either polystyrene pieces or shredded newspaper (or sometimes a combination of both!). Despite our resulting steady need for bubble wrap, we have never – in more than five years of online trading – actually had to purchase any. All of our bubble wrap comes secondhand – from friends, neighbours or local businesses (who would otherwise throw it away). The recycled theme continues with our boxes. We have also never purchased a single box for packaging! We get our boxes from people and local businesses – indeed, our need for boxes has become well known and various neighbours now routinely give us the boxes in which they receive parcels. We only ever use boxes of good strength and quality but their varied origins mean that sometimes they are plain brown and other times they may be branded with their original contents – which can be quite obscure and varied! In fact, the only packing ‘ingredient’ we regularly have to buy is parcel tape – unforunately we haven’t devised a way of reusing this, yet! Recycling and reusing is an important way of reducing our impact on the environment and of combating today’s disposable life style. We hope that when you receive our parcels you too are able to reuse some of the packaging in some way – or perhaps pass it on to someone who can. As a side note, we often get asked questions about how to best send pottery and glass through the post so it arrives safely – as a result we have written a short guide on How To Post Pottery. We regularly send delicate items through the post (as you might have guessed!). Our chosen UK postal service is almost always Royal Mail Special Delivery, which is tracked, guarantees next working day delivery by 1pm and requires a signature on delivery. By using this service we can track our parcels and ensure they arrive successfully. International parcels are usually sent by Royal Mail International Signed For, which we have found to be competitively priced and reliable. 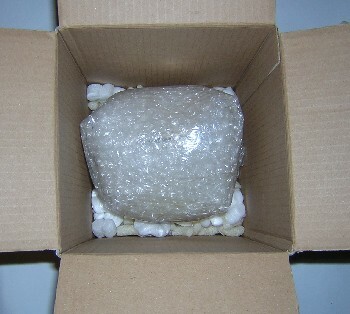 This entry was posted in Posting and Packaging and tagged boxes, bubble wrap, packaging pottery, recycled packaging, recycling on December 26, 2008 by Perfect Pieces.